Four reasons to buy your above-ground pool from Family Pool, Spa & Billiard Center or Showcase Pool and Spa. 100% trade-in value; we'll credit the full purchase price toward a new in-ground pool from us! An above ground pool is an excellent choice! The above ground pools of today have advanced tremendously over the last few years. There are many styles and sizes to choose from and the materials used today are very durable and corrosion resistant. Above ground pools cost much less than an in ground swimming pool. 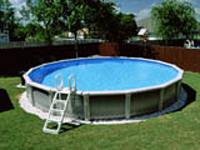 An above ground pool can be installed in just one day... so you can begin to swim and enjoy almost instantly! We have been serving customers for over 20 years. 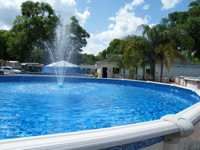 We offer the best selection of quality above ground swimming pools at the best price. Stop in today and choose from over 55 models!! Excellent on site financing available! I have a positive story I would like to share with your CEO. I have an above ground pool from when he first started in the Panama City area. It is about 15-25 years old. I'd have to search my safe for the receipt. I think it was called the Signature series. Has your symbol all over it. Original liner and going strong, so I wanted to share my story with you. It has a few rusty spots and a little fading but still going strong. Thank you for your time and a great product. 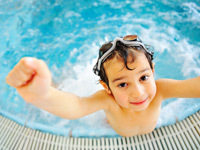 I've been coming to Family Pool, Spa & Billiard Centers since 1995 and have always had good, friendly, helpful service. Thank you for all the help and service for the past 15 years. Keep it up. I never hesitate to recommend you to others. Thank you for such wonderful service. We purchased an oval above ground pool the summer of 2006 and still love it! We come in for water testing every two weeks and still receive wonderful service each time we come in. Our salesman has always been very helpful with any questions we may have. We even came back a year later and bought a spa! It is not everyday you get such wonderful service. I have always had very good, personable service. All questions get answered, knowledgable staff. We have been coming to your store for many years. We bought our above ground pool from you. We are thoroughly advised on the care of our pool after brining in water samples to perfect our chemical needs. Then three years later, the first thing we bought for our new home was one of your slate pool tables. All of your help are pleasant and very helpful. Couple of months ago my wife and I came into Family Pool, Spa & Billiard Centers in hopes of getting a quality pool for the right price. We had many questions and you had all the answers! We purchased a 27" round above ground pool. We have been very pleased with the purchase. We bought our first product, a beautiful pool table from Family Pool, Spa & Billiard Centers. The purchase and installation were first rate. We bought our 24" round pool several months later. The pool is beautiful and we are happy and of course, will be returning customers. I bought my first pool in 2007. 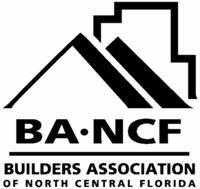 The service was excellent and the installation was fast and thorough. I also bought my new liner and the service was very prompt. I buy all my supplies from Family Pool, Spa & Billiard Centers as well. My husband and I would like to take this opportunity to say what a great bunch of guys worked on our pool. Our salesman was great and very knowledgeable of what we wanted. He was able to explain everything so that we understood what we were buying. The installation crew were very respectable and polite. They kept their work area cleaned up after each phase. Your staff went the extra mile for us, something we don't find very often. I bought an above ground pool from Showcase several years ago. We love it!! The service (chemicals, parts, etc) has been great. We love the Pristine Blue system because it is easy on the skin and suits as well as very easy to manage. The deal we got from Showcase Pool and Spa was too good to pass up. The installation of our swimming pool was flawless and very professional. Coming in for water testing is without a doubt one of our best experiences. The staff is knowledgable, professional and a joy to interact with. We are enjoying our pool emensly and expect to do much more business with Showcase Pool and Spa in the future. They are the best! I had a very good experience with Showcase Pool and Spa. Good prices and availability! One year ago, we decided to buy our first pool (18 round above ground). We received the best deal. Thank you for everything. Everyone worked hard to meet our needs.